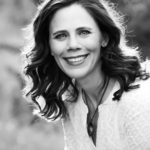 If you’ve been watching Olympic figure skating, you know that skaters get judged on technical merit and artistic interpretation. And, as they’re skating, colored squares appear in the corner of the screen to show how well they executed the program’s required elements. A green box means the side-by-side triple axels were spot on. A yellow box means the judges want to look at the footwork sequence again and a red box means your twizzles fizzled. Fortunately, picture books don’t have a grading system like this. Each reader is free to decide whether a book worked — or not. But if picture books did have a formal rating system, I’d give the book below green boxes across the board for its high level of difficulty and its artistic heart. A man who lives alone in a creaky house on the top of a very tall hill doesn’t know what to do about the never-ending wind that blows his hat off, makes his shutters bang, tips over his table and spills his tea. Fortunately, Kate, from the town at the bottom of the hill, knows a thing or two about trees — and how they can serve as a windbreak. The wind blew, the shutters banged, the boards bent, the table tipped, and the tea spilled. The tea spilled and the bread broke on the tippy table in the creaky house at the tip-top of the steep hill. And still the wind blew. It’s a story about wind and trees. But it’s also about kindness. Kate has never met the man at the top of the hill but she returns his hat when it lands at her feet and helps solve his problem. And she doesn’t just come up with the idea. She puts in the hard physical work to plant the trees and keep them growing. And it’s a story about patience. Trees take quite a while to get big enough to tame the wind, and Kate is there through it all. Which also makes it a story about friendship. Kate and the man become friends working on the trees and drinking tea. What sets great skaters apart from good skaters is a little something extra. Style. Charisma. Personality. A trick no one else can do. 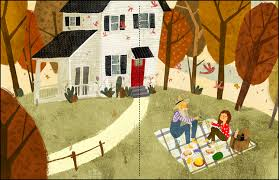 In this book, the extra something is an author’s note titled “More About Marvelous Trees.” It talks about how trees can shelter people from the wind, prevent erosion, improve air quality and provide a home for wildlife. It also provides websites readers or teachers can visit for details. This note adds a new layer of meaning to the story. So on your break from watching the Olympics, track down this gold-medal-winning picture book. 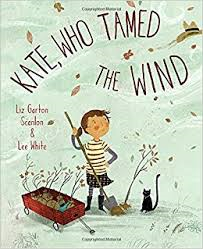 Lee White, Liz Garton Scanlon, Pat Zietlow Miller, picture book, trees, wind. Bookmark. This sounds like a book to add to my mentor shelves. Being from windy west Texas, I can appreciate the theme of wind and using trees as breakers. Lovely analysis! It sounds like this book has it all! I look forward to reading it. I can’t wait to track down this book! I love how this story incorporates so many elements and themes flawlessly. Well done! Wow, I love this review. Thanks, Pat! I can’t wait to check out the book. Such an excellent review Pat. I look forward to reading about Kate and the windbreak with the repeating elements and phrases. Great review. I can’t wait to ‘study’ the format. Thank you, Pat, for sharing this book! I plan to order it today and look forward to using it as a mentor text. just a darling idea of a book! Sounds like a must-have! Well done! What a beautiful review! The book sounds wonderful. A great review on an awesome book! Can’t wait to read this one. Hadn’t seen this one yet. Thanks for putting it on my radar! I’ve been looking for this! Thanks for the great post about it, Pat! Primary teachers will love this book for both the fiction and nonfiction elements. Thanks, Pat, for posting about this winner! Going on my list! I love cumulative stories. Already have this one on my holds list, Pat, but now I’m looking forward to judging it according to skating criteria. Technical merit and artistic interpretation, indeed! !